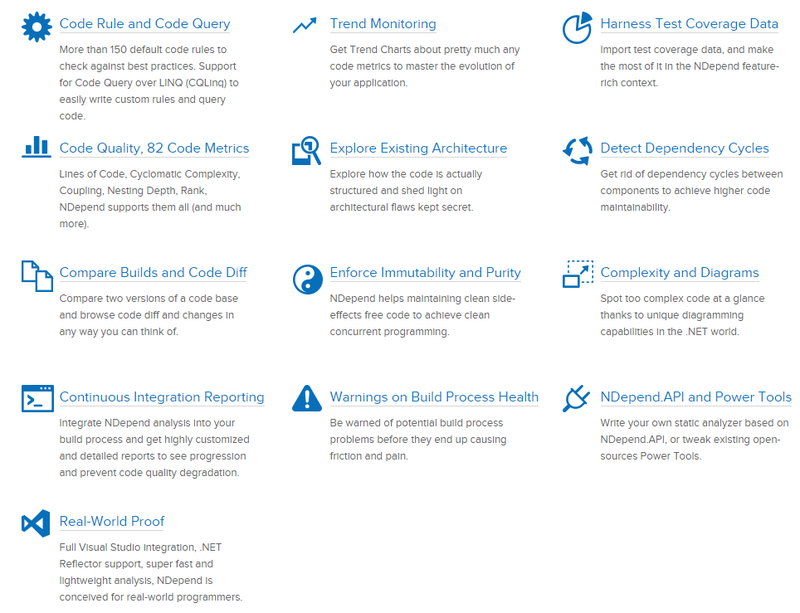 In this post we will discuss about a dependency analysis tool for .Net (NDepend). NDepend is a static code analysis tool that provides a lot of features to analyze your code with statistical information and diagrams. 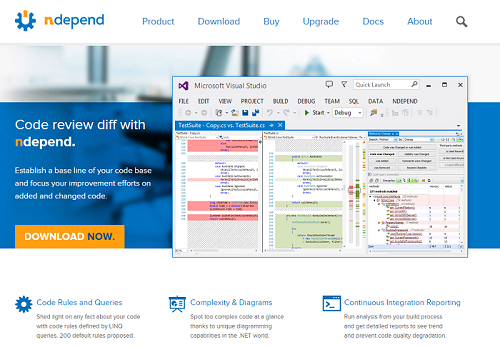 It is a Visual Studio plugin which performs a number of analysis across the solution.According to NDepend, it offers a wide range of features to let user analyze a code base. It is often described as a Swiss Army Knife for .Net developers. Before discussing about the NDepend tool we should all know that what exactly is a Static Code Analysis. What is Static Code Analysis ? It is a process of detecting errors and defects in software's source code. It is nothing but an automated code review process.It is also a technique that lets you analyze your code statically and it helps you to find places where you can improve your code. It even allows you to analyze the dependencies between different parts of the code. Why every .Net Developers should use NDepend ? It helps us to get a lot of dependency related issues. We developers spend a lot of time in re-factoring our codes and usually forgets that a little change might break something, thus where NDepend comes handy.You can even examine your assemblies, types and methods, which helps you to keep a view whether coupling between these are out of hand. It has a fantastic query language which lets you to write custom queries. You will get a lot of option to choose from like New NDepend Project, Open NDepend Project, Analyze VS Solutions and VS Projects, Analyze .Net assemblies in directory, Analyze a set of .Net assemblies and Compare 2 versions of a code base. 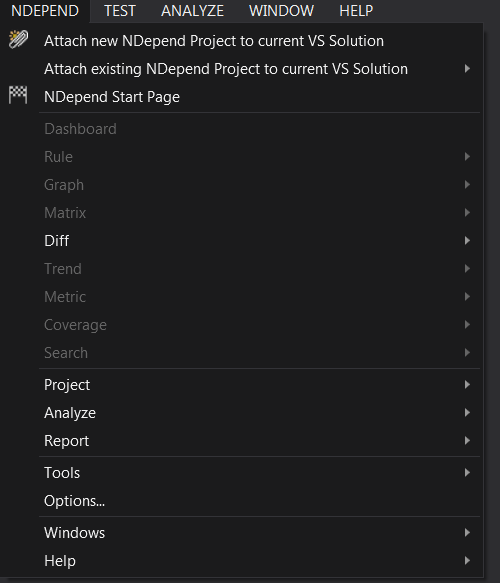 Using this option you can Attach new NDepend Project to current VS Solution Or you can Attach existing NDepend project to current VS Solution.We are going to Analyze our Small Asp.Net Web Application solution. After clicking Attach new NDepend Project to current VS Solution we get the below option.Then Analyze a single .Net Assembly we get a number of options like below. You just saw that how awesome is the NDepend tool, its a really great tool to do Static Analysis of .net Managed code.In this post I left behind so many other features of NDepend, you can check the useful feature by yourself. Visit NDepend for more information.